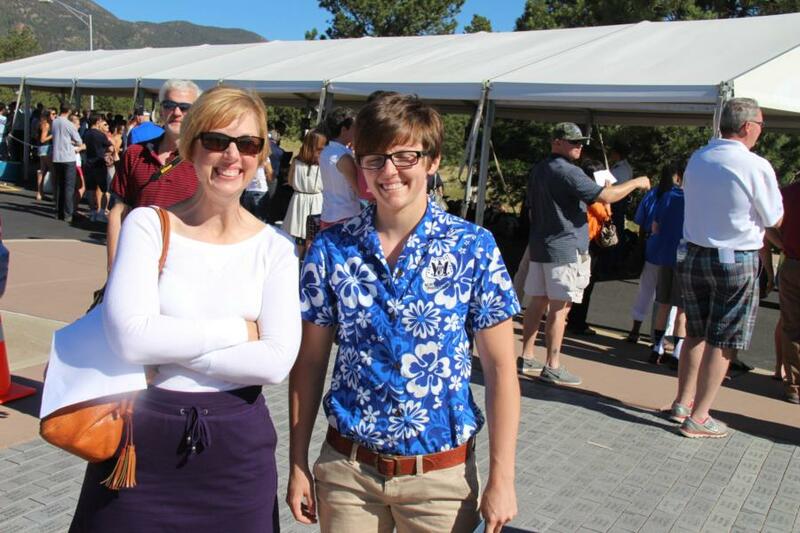 Have you ever wondered who those appointees in the Hawaiian shirts were? They always get alot of attention from the Cadre on I-Day. Here is a little bit of info about the Falcon Foundation. 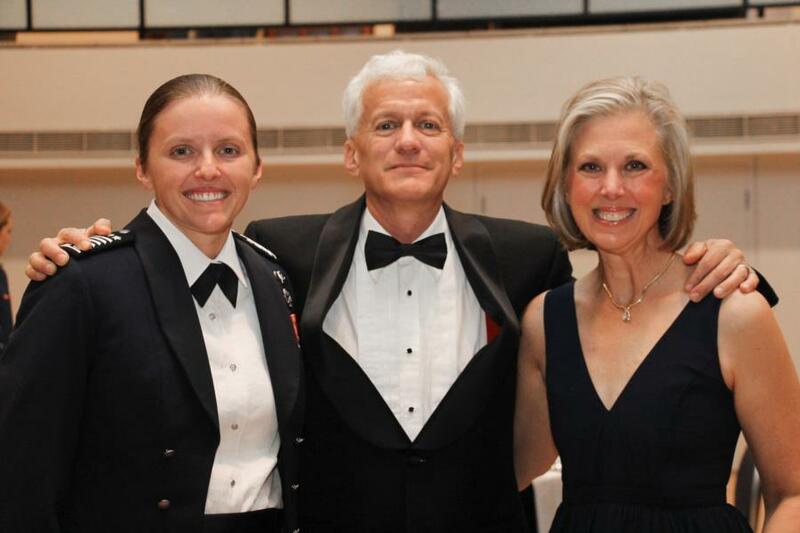 A group of prominent retired Air Force officers organized the Falcon Foundation in 1958, three years after the United States Air Force Academy (USAFA) admitted its first class. The Falcon Foundation is a 501(c)(3), non-profit foundation. 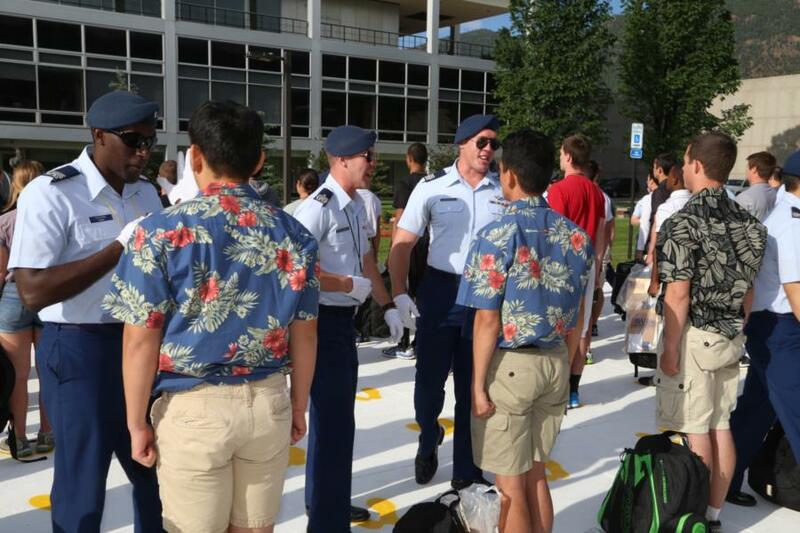 Its purpose is to provide a limited number of highly-motivated young people the opportunity to sharpen their skills for admission to USAFA by providing scholarships at a College or Preparatory School especially selected for this purpose. The Falcon Foundation Dinner is always a classy event and this year was no exception. Because it is always held during CORONA Week, the guests included most of the senior leaders of the Air Force, past and present. I have to admit I was a bit star struck. For those who don't know about CORONA, CORONA conferences are held three times a year and allow the Secretary of the Air Force, the Chief of Staff, and senior Air Force civilians and military leadership to come together for frank, open discussions that will lead the Air Force into tomorrow. The fall conference has been held at USAFA for many years. This year's dinner included the presentation to the winnner of the USAF Alison Award sponsored by the Falcon Foundation. If you are ever in Arnold Hall, be sure to stop and see the award plaque located in the hallway above the ballroom. 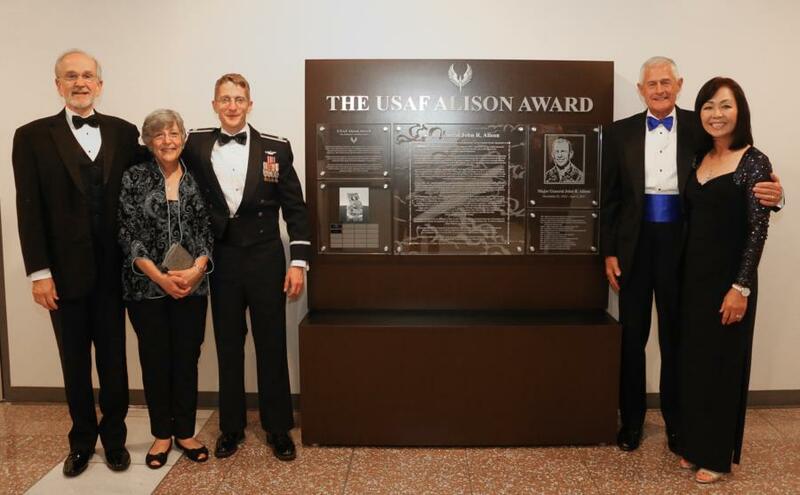 Here is a link to information about Major Gen (ret) John R. Alison the awards namesake. The award is given annually to an officer of the United States Air force, in recognition of demonstrated outstanding character and innovation in a single act or a series of related events during a single year. Such character must meet the standards of the USAF core values. 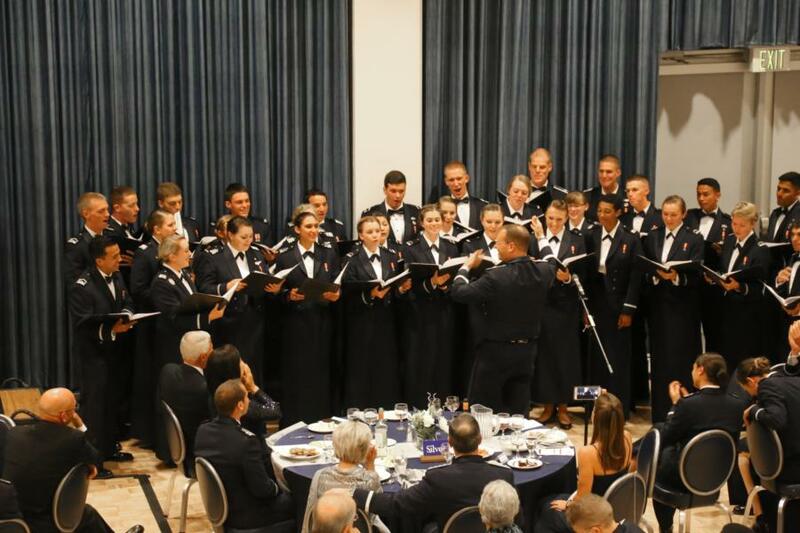 The evening's entertainment was provided by the USAFA Cadet Chorale. 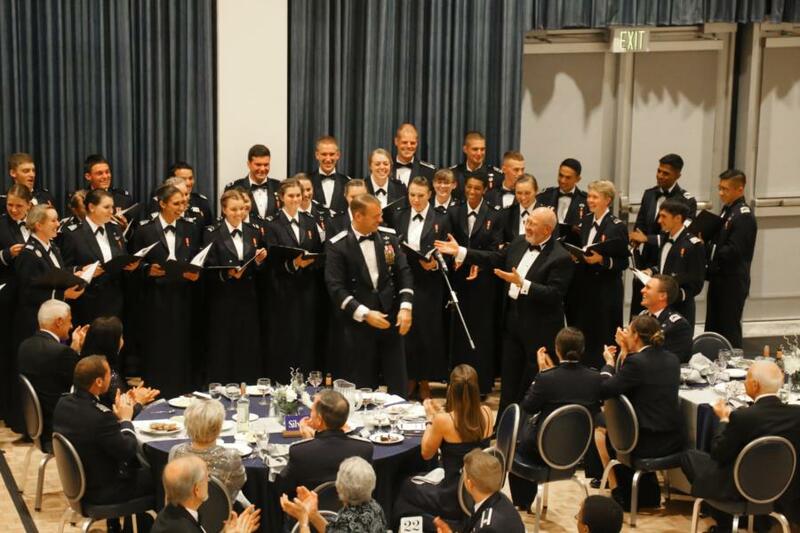 Commandant of Cadets, Brigadier General Steve Williams was even persuaded to conduct the Chorale for one song. Here is a video of one of their songs. The Cadet guest speaker for the evening was C1C Sara Fishbein. Sara is a Falcon Scholar from Northwestern Prep as well as the current Cadet Wing Commander. Sara is the latest in a long line of recent high achieving falcon scholars. She is pictured below with her parents, along with a picture I found of her from I-Day 2013. ;-).